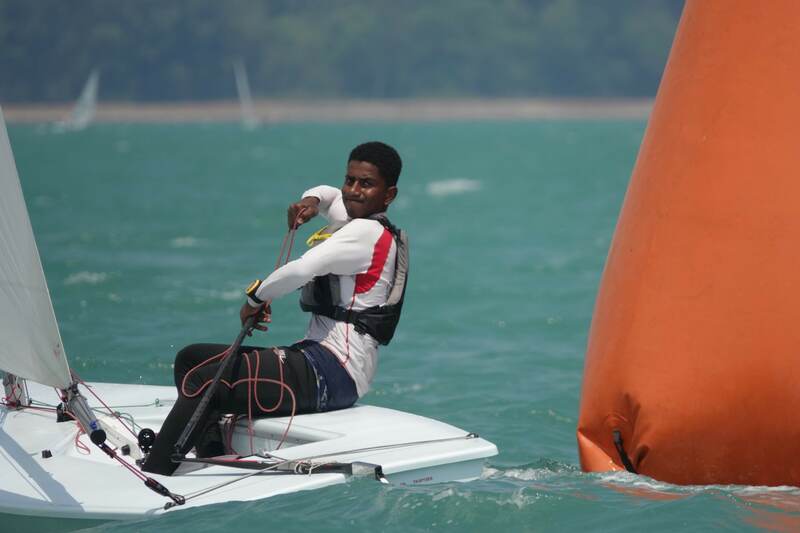 Oman’s Youth Windsurfing Team completed their first ever Asian Windsurfing Championships on a high after putting in strong performances at the Singapore event. 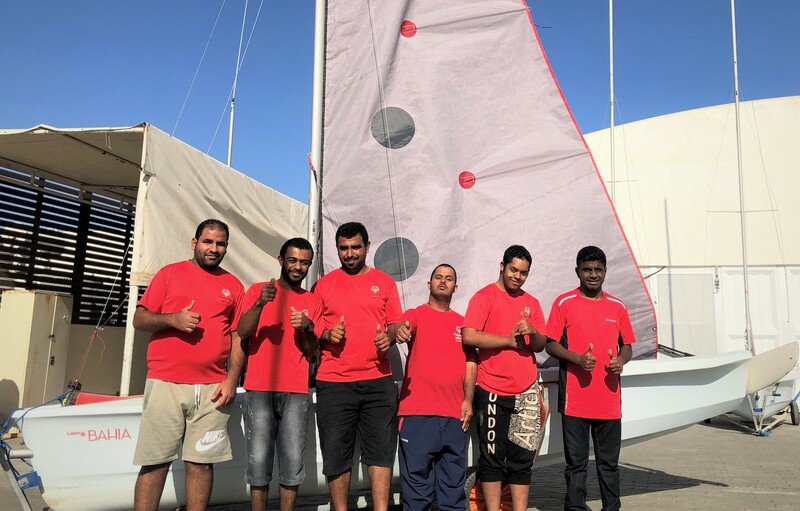 The young team showed great potential while holding their own in a competitive 40-strong Under-19 Techno Plus boys’ fleet, in what Oman Sail’s Head of Performance Koray Ezer described as a “life-changing experience”. Having only competed in their first international event in 2016, the team had to quickly adjust to gusty 20 knot-plus conditions in Singapore, very different to those found at their Mussanah home base. And with most of the six-strong team at least two years under the age limit, they faced intense competition from squads representing 11 other countries, including China, Hong Kong, Japan, Indonesia, Thailand, the Philippines and Malaysia. Omar Al-Qartoubi posted the best overall result to finish in 19th place, just ahead of Abdullah Al-Sarhi (22nd) and Ali Al-Omrani (23rd), with Mukhtar Al-Mujaini, Abdul Majeed Al-Hadhrami and Mohammad Nabil Al-Balushi also all recording top-30 finishes with several top-10 places among their collective results. “It has definitely been a positive experience for the team – it is a really good group of sailors and we are really happy with the results,” said Ezer. “What they did was astonishing as they only started windsurfing in 2014. We are in the game and they are all racing in the middle of the fleet. It was definitely a life-changing experience for them. “There is so much to learn from this event of course, and they need to learn to race in a more consistent way and make good decisions. They are all excited and motivated to do more work, and they will just get better and better,” he added. Sultan Al Balushi, Oman Sail’s National Youth Windsurf Coach, will now look ahead and prepare for April’s Techno Plus European Championships in Sicily, and the Under-17 and Under-19 Worlds held in August in Latvia, all significant waypoints for a developing team according to Oman Sail’s Youth Programme Manager Mohsin Al Busaidi. “Taking part in major international events is a vital part of the Oman Sail Youth Programme,” he said. “It allows our young sailors to test themselves against competitors from around the world, and is the perfect environment to put into practice all they have learnt. “It is also essential that they experience and ultimately master the variety of sailing conditions that they will meet as they progress through their respective classes. 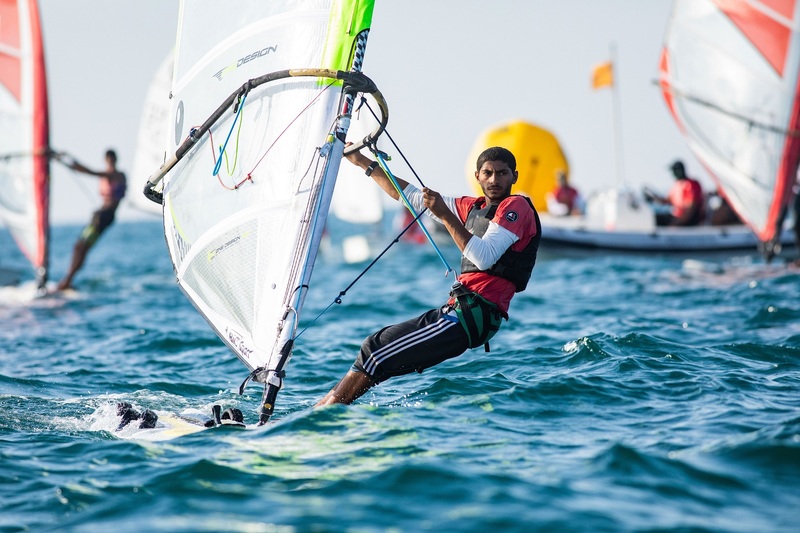 Singapore was a great start to what is going to be a challenging year for our windsurfers,” he added. 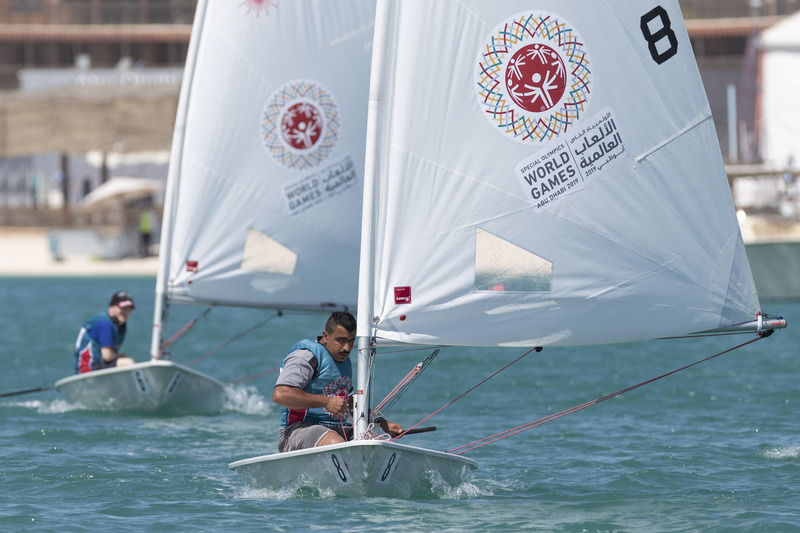 The Asian Championships was also a selection event for the Youth Olympic Games (YOG) being held in Buenos Aires in October, and while the Oman Sail team were not able to qualify in Singapore, the Games remain an ultimate target. A buoyant Ezer said: “The main point is not to feel down in not being one of the top three countries that qualified – we are in the game and we will send our team to the European Championships so we can show everyone that we are creating a new generation of sailors and a long-term sports culture here.